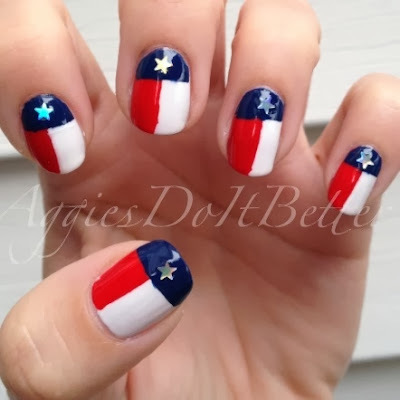 Aggies Do It Better: Texas Flag Nails! 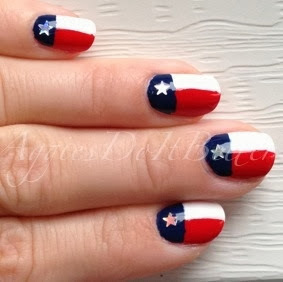 Howdy! I did these a while back for an Instagram challenge. These involved several rounds of drying and tape, only because I'm terrible at free-hand lines and I wanted them to be perfect!